As soon as you set foot into the lively surroundings of Kansas City, MO, you’ll immediately realize just how many thrilling destinations await you and your family. And at Volkswagen Lee's Summit near Kansas City, MO, we’re committed to arming you with a used car that’ll help you advance along the path to your next adventure. That’s why we’ve adorned our Kansas City pre-owned dealership with a variety of used sedans, SUVs, trucks, and much more. With our diverse lineup of options, you’ll choose the ride that perfectly suits your needs so that you can spend your time enjoying the open road. At our used car dealership near Kansas City, we believe that there’s an ideal automobile for every type of driver. And when you walk into our advanced showroom, you’ll immediately see a wide array of used cars from which to choose. 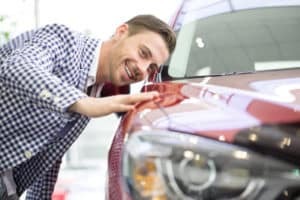 So, no matter if you’re interested in learning more about our selection of sporty coupes, powerful trucks, or anything in between, you’ll discover the pre-owned car that suits your unique lifestyle. On top of that, our knowledgeable professionals come armed with all the details on the standard and available gadgets included in your favorite used vehicle. With our assistance, you’re sure to select the car that’s decked out with the high-tech tools you use most often. Once you’ve decided upon the pre-owned automobile that’s best for you, it’s time to start your financing procedures. Luckily, all your endeavors will be supported by our team of finance experts. First, we begin each consultation by taking a moment to learn more about your budgetary requirements. After that, we’ll configure a customized payment plan with your needs in mind. That way, you drive home knowing that you secured fair loan options on your used car. If you’re interested in understanding more about the value of your trade-in vehicle, check out our Value Your Trade calculator, where you’ll enter information about your car’s condition. From there, you’ll be presented with the estimated worth of your current automobile. With this convenient tool, you’ll be able to apply the price of your ride to the financing of your pre-owned vehicle. Nothing’s more essential to your automobile’s health than having access to a state-of-the-art service center. That’s why we’ve furnished our dealership with a repair facility that’ll keep your pre-owned car performing at its best for a lifetime. 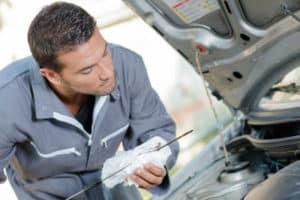 Plus, our trained technicians come with a hefty supply of genuine parts and cutting-edge tools so that every inspection and replacement will stay strong for the road. And if you ever realize that you need a repair while you’re on your way to an important event, head over to our Service Xpress department. Here, our mechanics will get you fixed up and ready to rock in no time. Visit Your Used Car Dealer Kansas City! At Volkswagen Lee's Summit, nothing excites us more than when we see our valued customers coursing down the roads of Kansas City, MO, behind the wheel of a dependable used car. So, no matter if you’re planning to appreciate the masterpieces at Nelson-Atkins Museum of Art or catch a glimpse of the exotic animals at the Kansas City Zoo, our pre-owned vehicles will have you surging along your route without a hitch. Don’t hesitate to lean more about all the reliable automobiles we have to offer. Visit our showroom or schedule your test drive today!